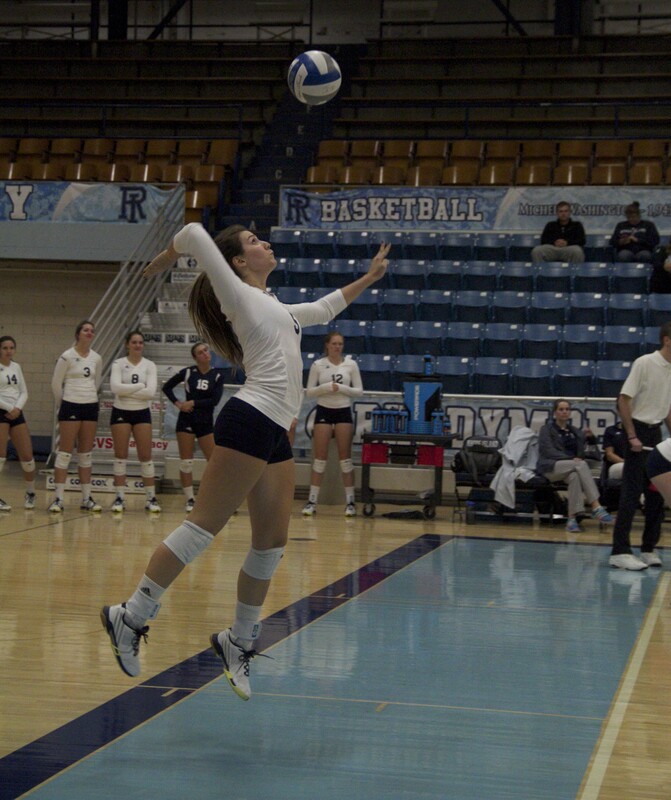 The University of Rhode Island women’s volleyball team (20-9) were swept by Saint Louis University in the semifinals of the Atlantic 10 Championships on Nov. 21 after defeating Duquesne (14-15) in five sets the night before. 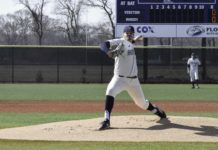 URI came into George Washington University, the host for the conference tournament, with aspirations for A-10 supremacy; a goal legitimized through their impressive play against the top of the bracket during the regular season. The no. 3 seed Rams drew the no. 6 seed Duquesne Dukes, and seemed to be on their way to a quick victory and a good night’s rest before their next game. The Rams won the first two sets, 25-20 and 20-18, but the Dukes had no interest in making life easier for URI and completely flipped the script on them after taking consecutive sets in dominant fashion, 25-14 and 25-12. With the momentum shifted in Duquesne’s favor, the improbable upset was in their grasp. 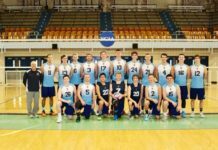 The urgency of the fifth set, made tenser due to the win-or-go-home circumstances, forced URI to snap out of their funk. The Rams pulled out the decisive set, 15-11, giving them their first A-10 tourney win since 1999. Junior Audrey Castro led the way with 18 kills and 10 digs. Seniors Franki Darnold and Cate Seman also had double-doubles as they helped ensure the continued life of their waning collegiate careers for a bit longer. Despite the obvious positives, the postponement of victory fatigued an already spent team that was nursing end-of-the season injuries and enduring a grueling bus ride that took slightly longer than the required amount, 400 miles. The fifth-set showdown piled on the adversity. The Rams’ prize for the grinded out victory was a meeting with St. Louis, whom they had beaten less than a month earlier on senior night. A home win, however, in an emotionally charged environment is different than a neutral court matchup against a well-rested team, especially when a key player is injured. The Billikens took advantage of the Rams fatigue and battle scars, which showed in the form of Darnold, who left due to injury after the first set. St. Louis cruised to an opening set win, 25-10, following a colossal 14-1 run. St. Louis took advantage of Darnold’s absence, and continued to push forward with another big swing in which they won eight straight points to gain control in the second set, 21-15. They hung on, 25-18, forcing URI into a very vulnerable situation. 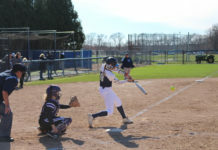 With their season and A-10 Championship hopes on the line, the Rams kept pace with the Billikens early, playing to a 10-10 tie before falling victim to another pivotal change in momentum. St. Louis, on the strength of a 15-7 run, closed out the match in straight sets, earning a spot in the finals. URI’s elimination came on the night that they produced a season-low hitting percentage of .043. Despite the bitter end to her collegiate career, Darnold solidified herself as one of the all-time great Rams, ranking third in kills with 1,356. Rounding out the prosperous trio of departing seniors is Seman and Lizzy Scanlon who are 20th and 7th, respectively, for most career digs in program history. Their 66 wins, the most by a senior class in 15 years, will be difficult to replace, but Schneck, who was named A-10 Co-Coach of the Year is pleased with the returning group, and the addition of potential recruits as well.